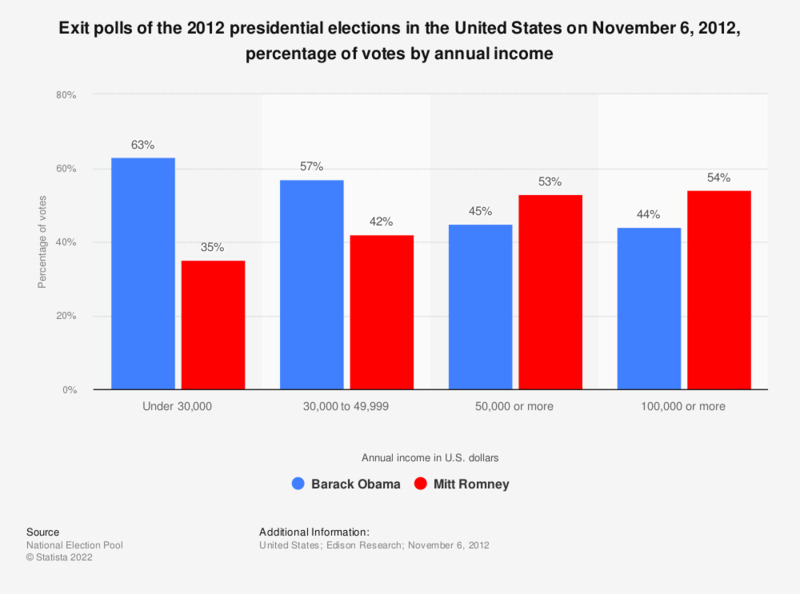 This graph shows the percentage of votes of the 2012 presidential elections in the United States on November 6, 2012, by income. According to the exit polls, about 63 percent of voters with an annual income of less than 30,000 U.S. dollars nationwide have voted for Barack Obama. * National Election Pool is a consortium of ABC News, Associated Press, CBS News, CNN, Fox News and NBC News. The missing percentage points to 100 percent are from respondents that didn't answer the question. Statistics on "United States Presidential Election Polls 2016"
Who do you think did the best job in the first presidential debate in the 2012 elections on October 3? Who do you think did the best job in the final presidential debate in the 2012 elections on October 22? Do you feel that Barack Obama deserves to be reelected, or do you feel that he does not deserve to be reelected? Florida: Do you have a favorable or unfavorable opinion of Hillary Clinton?